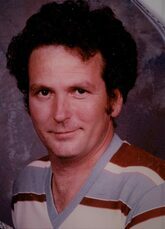 Gerald Franklin Cook, age 70, of Moorefield, WV, went home to be with his Lord and Savior on Wednesday, January 23, 2019 at his residence. Born on May 11, 1948 in Moorefield, WV, he was the son of the late Elmer Thomas Cook and Alice Marie Strawderman Cook. In addition to his parents, he was preceded in death by one sister, Ruth Elizabeth Davy. He is survived by his loving wife of 39 years, Brenda Sue Crites Cook; one sister, Brenda Lee Crider of Purgitsville, WV; one brother, Robert Thomas Cook of Moorefield, WV; his mother-in-law, Catherine Funk of Dorcas, WV; and several nieces and nephews. Gerald started refinishing automobiles when he was fifteen years old and painted his last automobile in 2013. He preferred Ford over a Chevy and enjoyed joking with his friends about which was the best, mostly while he was working on his broken-down Ford. He would say God only had Ford dealerships in heaven. He called it job security for the angels. 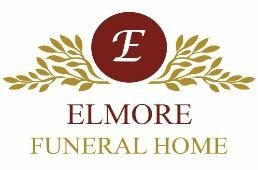 A funeral service will be held at Elmore Funeral Home in Moorefield, WV on Saturday, January 26, 2019 at 2:00 P.M. with Pastor Doug Bowers, Sr. and Pastor Danny Sterns officiating. The family will receive friends two hours prior to the service time. Burial will follow at Olivet Cemetery, Moorefield, WV, but he will be walking the streets of gold in his new heavenly body. Arrangements are under the direction of Elmore Funeral Home.